So, the year has finally come to an end. As I am sure that many of you are out celebrating, I am staying in with my kids and debating the way that Dilly Dolls will move forward in the coming year. 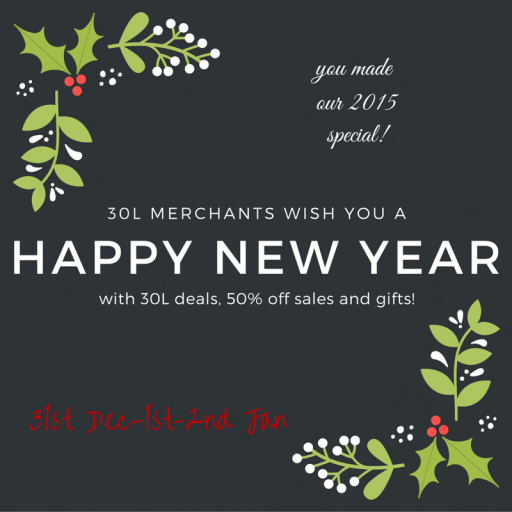 But before that comes to head, we need to close out the year first! I have recently joined 30L Saturdays, and this weekend they are saying goodbye to 2015 with a little bang. For my first (unofficial) 30L item, I give you the Kelma wings! I have not made wings for years, but had the sudden urge to! These babies are color change via tint HUD, and they flash like a neon sign! Don't ask me why I made them blink, I just did! But since they are modifyable, you can feel free to remove the neon script and just wear them normal, with or without glow. 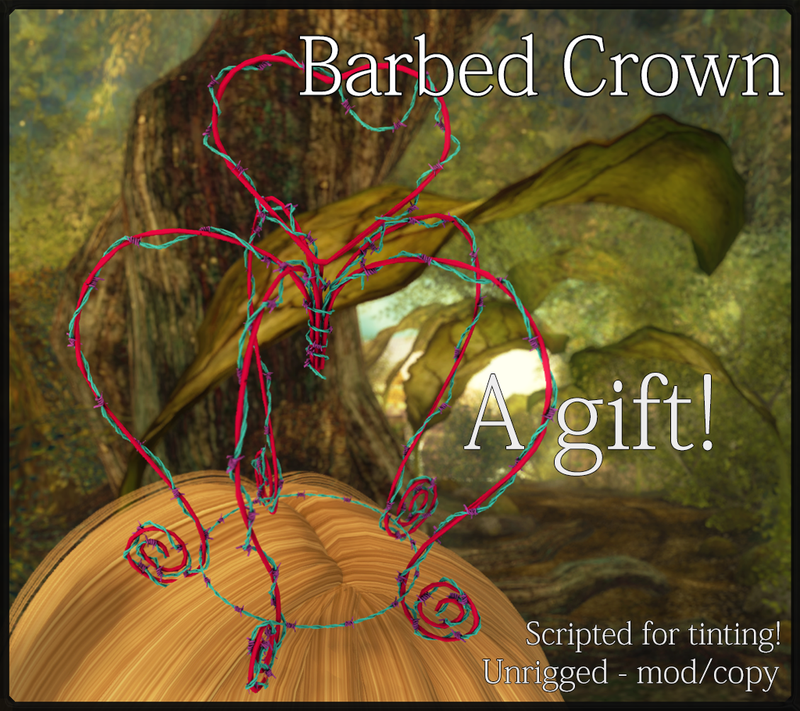 My gift item, is a barbed crown that I made while playing around with a few tools in blender! It too is modifyable, and includes a tinting HUD for easy customization. 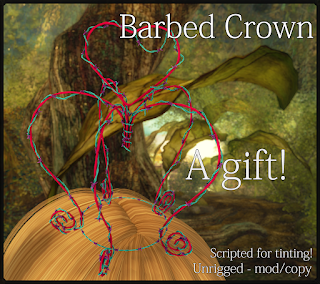 The crown, wire and barbs can all be tinted independently! And lastly, my 50% off item is the Aylee pants in both dark and light options. They are rigged for standard sizing, and come in packs of 12 colors! I hope you all have a great weekend, and I will see you next year!